PGY-1 Residency, Yakima Valley Memorial Hospital, Yakima, Wash. 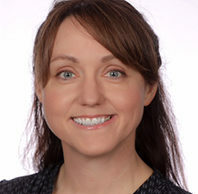 Affiliated Residency Teaching Fellow Participant, Washington State University, Pullman and Spokane, Wash.
Damianne Brand-Eubanksis currently aclinical assistant professor at the WSU College of Pharmacy Yakima extension located on the PNWU campus. Created and implemented collaborative practice agreements and clinic staff training protocols for an anticoagulation clinic and emergency contraception. Designed medication therapy management plans for patients served. Created and implemented a pharmacy technician education program to certify new technicians. Designed a presentation for the Board of Pharmacy for approval of a central pharmacy at a sister clinic site. Created and implemented a collaborative practice agreement with providers to provide emergency contraception using 340B medications.